to try and drag it to a salty death. with earth and marram, gravel, groans and moans. and crashing rollers drown out any speech. consuming shape and colour in its way. draws curtains on the world until the morning. Jilly is behind the bar tonight, serving up repetition, which she reminds us is all around us; in music, advertising, our everyday conversation. We use it for emphasis, to drive home our meaning, to get the reader/listener’s attention; we use it to make our songs catchy and singable; we use repetition to make our words more memorable. Poets, like composers and lyricists, make use of repetition; we use repeated words, phrases and even repetition of complete lines. Jilly takes us through different types of repetition and asks us to make use of it in a poem, selecting one or more of the types she has mentioned, or even trying our hands at repetitive forms like the villanelle. Jane Dougherty recently wrote a poem entitled ‘Shoot’ for the dVerse Open Link Night in a form I hadn’t heard of: the terzanelle, which has a strict rhyme scheme, repetition of sounds, and is written in iambic pentameter. I thought I might give it a go. Posted in Poems. Tagged Coast, dverse Poets Pub, Meeting the Bar, Repetition, Terzanelle. On a wave of enthusiasm 🙂 It doesn’t detract from the poem though, it’s full of lovely sea images. 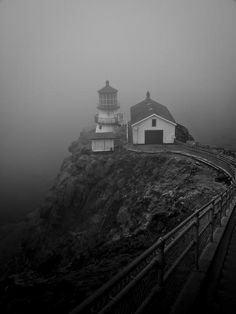 You made me pine for the ocean, to stand in the mist and fog, hearing the gulls laugh and the crows caw. You had me at /it sips the salt-stained lighthouse like a straw/. Though the repetition was minimal, the power of your prose swept me away, hearing a whales song faintly on the wind. It’s a lovely poem – I like a form poem that flows so well that you don’t notice the underlying form, and this works for that brilliantly. It’s one of my favourites of yours. Thank you so much, Sarah! It didn’t quite work out but it’s a form I will go back to. I liked the “morning” and “warning” rhymes at the end. This is a beautifully written poem of the coastline and its tides against the lighthouse and landscape. The roar in the last 4 lines were keenly felt, like an artist drawing on a canvas. The form looks challenging and kudos to you for writing in this form. Thank you, Grace. I think I’ll try to improve on it and rewrite it into a proper terzanelle for Open Link Night next week. I was so entranced with the seaside setting you created that I forgot about repetition! Beautifully done! This is well done, Kim. The repetition is not immediately apparent and very effective. Thanks V.J. I think this is one I need to revise as I didn’t quite manage a terzanelle. I didn’t notice, Kim. Need practice myself. I echo the previous comments. You did this seamlessly. A beautiful poem, so well captured I could see and feel the scenes as I read. Nice job Kim. Kim, you did an amazing job on with this form. I was mesmerised by the scene from the start. You personified just about every aspect of the the coast. I was caught by ‘moving ribs’ , ‘stones like rotten teeth’…..and the whole pic disappearing up a straw! Perfect! Thank you so much, Viv! I got so carried away that I messed up the terzanelle – I was supposed to repeat a line from each stanza! Thank you, Gina. I’m in the process of rewriting it as a true terzanelle – I got rather carried away and forgot to repeat lines! i read that in the comments but felt this particular poem flowed so much better than a villanelle, it wasn’t forced or strained at all. look forward to the revised version as your heart seems intent on it. lovely weekend to you Kim! I loved your description of the shore and the sea. A wonderful poem describing the effects the tide eating away at the shore in the storms and fog.